PARIS/WASHINGTON (Reuters) - International Monetary Fund chief Christine Lagarde escaped punishment and kept her job on Monday despite a conviction on negligence charges over a state payout made while she served as France's finance minister in 2008. The executive board representing the IMF's 189 member countries reaffirmed its full confidence in Lagarde's ability to lead the crisis lender, hours after the verdict was issued by a panel of judges in Paris with no fine or jail term. Lagarde told reporters at IMF headquarters that she would not appeal the decision after vigorously fighting the charge since she took the IMF's helm in 2011. "I have been held negligent, but without penalty, without sanction, without registration of the decision," she said. "I am not satisfied with it, but there's a point in time when one has to just stop, turn the page and move on and continue to work with those who have put their trust in me." In Monday's ruling, the judges did not find negligence in Lagarde's decision to seek an out-of-court settlement with tycoon Bernard Tapie, but they said her failure to contest the award to him of about 400 million euros ($417 million) was negligent and led to a misuse of public funds. The lead judge on the case, Martine Ract Madoux, explained the absence of any sentence by citing Lagarde's preoccupation with the 2008-09 financial crisis that was raging at the time of the payout as well as her strong international reputation. The charge could have carried a maximum one-year prison sentence. U.S. Treasury Secretary Jack Lew called Lagarde a "strong leader," adding: "We have every confidence in her ability to guide the fund at a critical time for the global economy." But the conviction may still work against Lagarde in her campaign to push back against a wave of protectionist sentiment and populist mistrust of public officials. She has called on IMF member countries to better promote the benefits of trade and globalization and adopt policies that combat growing inequality. Reappointed to a five-year term in February, Lagarde said on Monday that she would now "focus all my attention, all my time, all my efforts, all my energy and enthusiasm to my mission as head of the IMF." 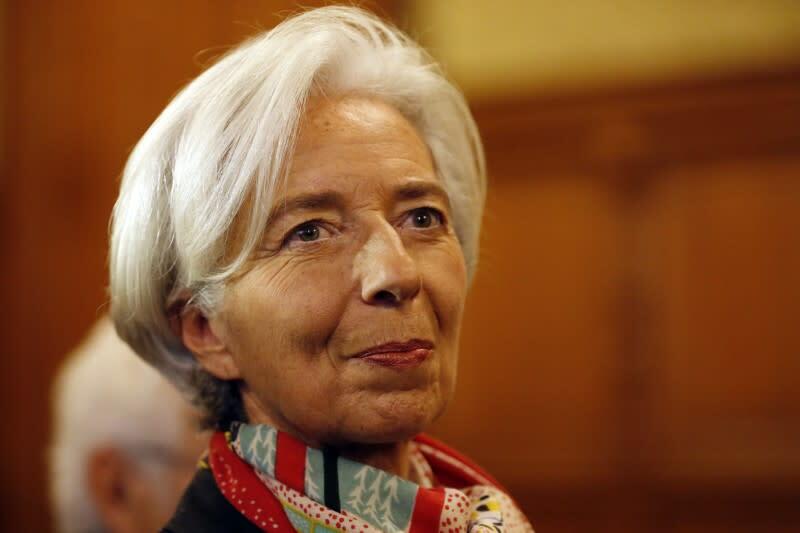 Lagarde, 60, who described the case as a five-year-long ordeal, argued in the trial last week that she had acted in good faith and with the public interest in mind. She also said she had signed off on the arbitration - against the advice of some Finance Ministry officials - to end a costly 15-year-old legal battle between the government and Tapie, a supporter of then-President Nicolas Sarkozy. The case dates back to when Tapie sued the French state for compensation after selling his stake in sports company Adidas to then state-owned Credit Lyonnais in 1993. He accused the bank of defrauding him after it resold its stake for a much higher price. With the case stuck in the courts, the two sides agreed to a private settlement and Tapie was awarded a 403 million euro payout, including interest and damages. The case was only the fifth ever heard by a special French court created in 1993 to try government ministers. The court of 15 judges, including 12 lawmakers, has never handed down a firm prison sentence.